The former girlfriend of White House official Peter Orszag gave birth to his child, six weeks before Orszag became engaged to someone else. Orszag, the director of the Office of Management and Budget, released a statement on Wednesday with New York-based venture capitalist Claire Milonas announcing the birth of their daughter, the Washington Post reports. "We were in a committed relationship until the spring of 2009," the statement said. "In November, Claire gave birth to a beautiful baby girl. Although we are no longer together, we are both thrilled she is happy and healthy, and we would hope that everyone will respect her privacy." The statement was released after the New York Post reported on the news of their daughter. Orszag recently announced that he is engaged to ABC News correspondent Bianna Golodryga. They reportedly met last May. 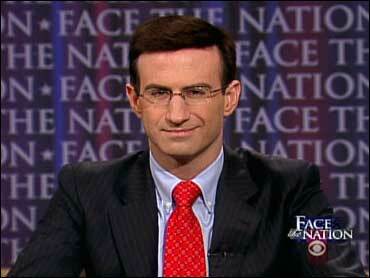 Orszag has two other children from a previous marriage. Now 41 years old, the budget director was President Obama's youngest Cabinet-level appointee and has been somewhat glamourized in Washington.